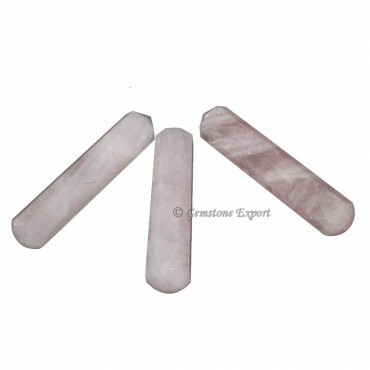 Rose Quartz 12 Faceted Healing Wands Massage Wands work directly at heart and matters related to it. Hold it in your hand and you will start feeling relaxed withing some time. You can buy this product from Gemstone Export.